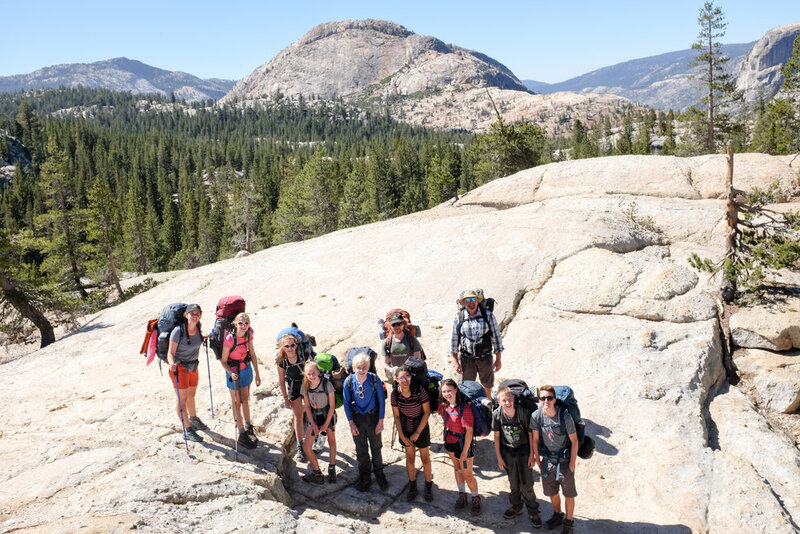 Last week our 8th graders spent four days and three nights backpacking in the high country of Yosemite National Park. This annual trip is the culmination of our outdoor education program that starts in fourth grade. 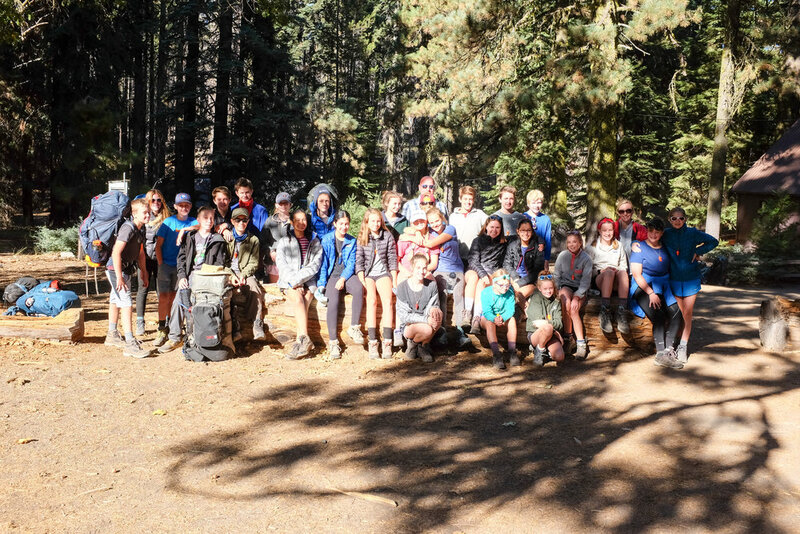 This year, our Head of School, Andrew Davis, hiked with all three groups on their first day in the woods. 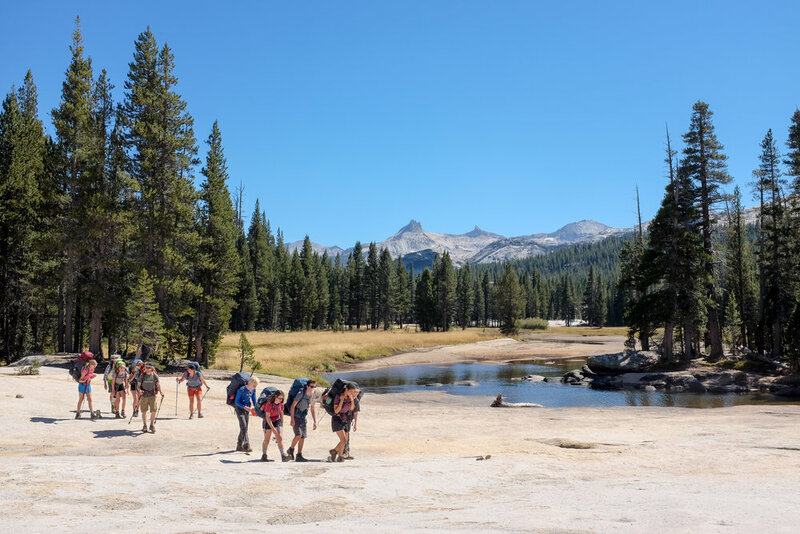 His planned 17 mile day turned into a 30 mile day of hiking/running as he assisted an injured passing hiker out to the rangers, returning to camp in the dark. Here are a few highlights of his trip as he describes it. I met the whole group at Crane Flat before heading to the first trail. 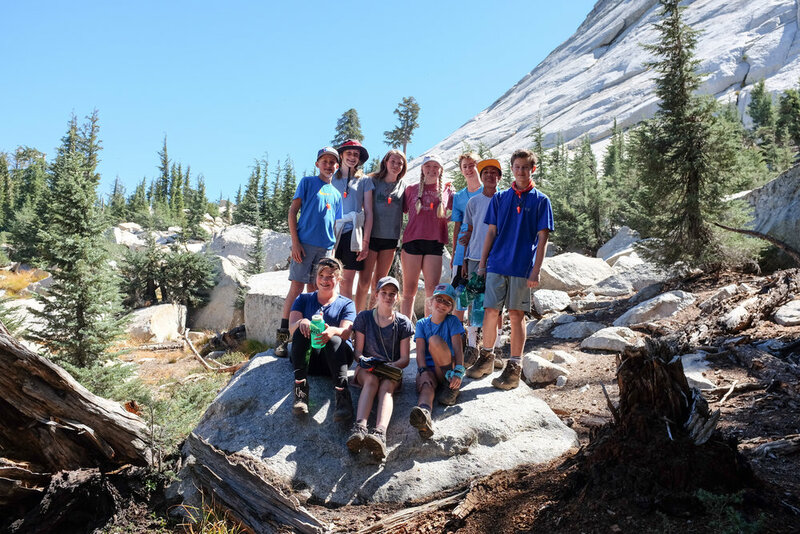 I hiked 1.5 miles with the first group as they made their way to Cathedral Lakes. After three miles of trail running, I caught up with the Glen Aulin group and then hiked a mile with them. After a group photo, I ran back to the trailhead to get my overnight backpack. I met the final group at mile 17. That is also where I met an injured passing hiker. Helping him to the road and back added 13 more miles to my day, ending in the dark. After a good sleep and trail breakfast, I photographed the last group and headed 6.5 miles back to the road and then drove back to school. 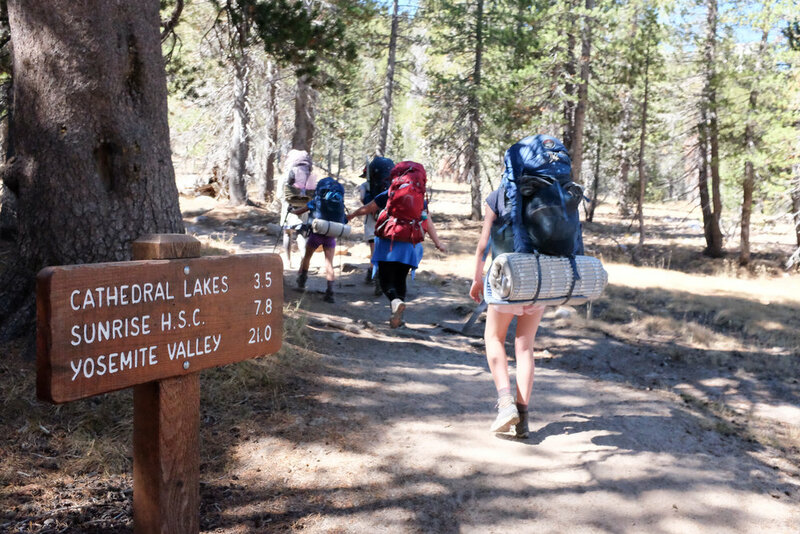 While the 8th graders braved the mountains, our 6th and 7th graders were off on their own trips as well. More on those adventures in the weeks to come. Older PostWelcome Back on the First Day of School!